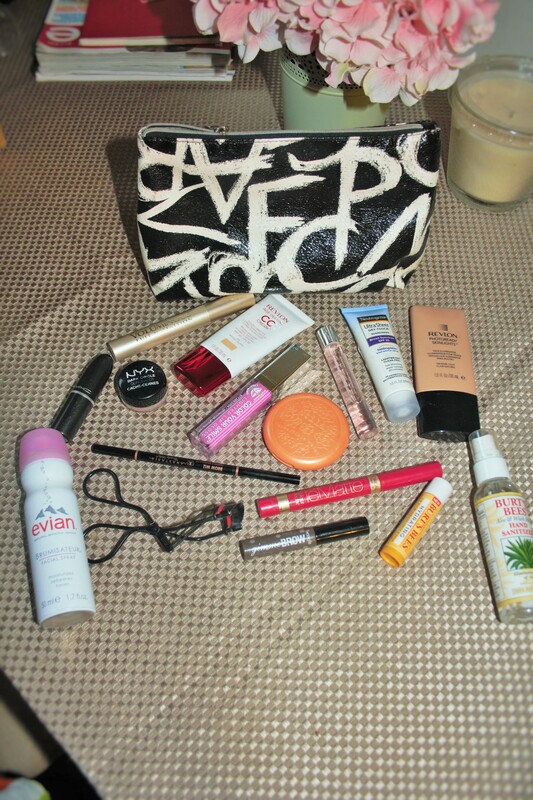 While I am totally obsessed with makeup and would love to have a “beat” face during the week my super busy schedule does not allow me the time to get all dolled up, but I of course cannot leave the house looking sleep deprived so I wanted to show you all my weekday makeup bag. (I transform into a totally different person during the weekend, but we’ll save that for another post). After washing my face and applying moisturizer I follow up with Revlon’s lightweight CC cream which helps even out my skin tone. Next I fill in my brows a bit with the brow wiz from Anastasia, to set them I add Benefit’s gimmie brow in the dark shade. During the summer months I don’t like to go too heavy with concealer so I apply NYX’s dark circle concealer which is creamy but more on the sheer side. My next step is Loreal’s voluminous full definition mascara, I then move on to dab a bit of Stila’s cheek and lip stain on the apples of my cheeks. Lastly I make sure my lips are hydrated by using Burt’s Bee’s chapstick. Evening: If I happen to be going somewhere after work I will re-apply some of the blush, add a bit of Revlon’s illuminator as a cheek highlight and re-curl my eyelashes. A pop of lip color also transforms my minimal day time look for a evening out in the city. Mac’s Twig, Whitening lightening’s gloss in raspberry sherbet and Loreal’s Le Matte in the color “She’s so Matte” have been my favorites these days. I also carry a roller ball perfume (Versace Bright Crystal), Evian facial mist for when I need to refresh my face, hand sanitizer and of course sunscreen. Most of these products can be found in Sephora, Ulta or your local drugstore. 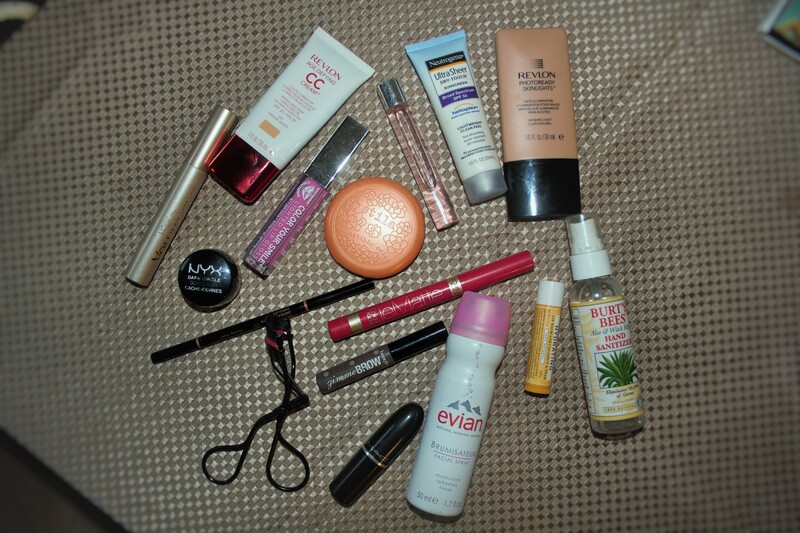 What are some of your weekday beauty must haves? I would love to hear what they are, leave your comments down below! Great article! I definitely need to redo my makeup bag. I’m going to try the Evian facial mist, it’s never occurred to me .